NEGROMANCER 2.0: VIZ Media Announces New Digital Anime Content, Including "Sailor Moon Sailor Stars"
VIZ Media Announces New Digital Anime Content, Including "Sailor Moon Sailor Stars"
VIZ Media gets 2016 underway with a brand new digital update for its free anime content streaming platform for January. Throughout this month, audiences are invited to catch newly-added dubbed and subtitled episodes for several hit anime series including SAILOR MOON and SAILOR MOON CRYSTAL, HUNTER X HUNTER, NARUTO SHIPPUDEN and INUYASHA: THE FINAL ACT. · Catch the second-half of Season 1 of the supernatural action adventure with the addition of Episodes 14-26, available to stream with newly updated subtitles. · In the HUNTER X HUNTER anime series, abundant riches, hidden treasures, fearsome monsters, and exotic creatures are scattered around the world... Gon departs on a journey to become a Pro Hunter who risks his life in search of the unknown. Along the way, he meets other applicants for the Hunter exam: Kurapika, Leorio, and Killua. Can Gon pass the rigorous challenges of the Hunter exam and become the best Hunter in the world!? His wild and epic journey is about to begin!! · Dive into the action of the final climactic season of INUYASHA with Episodes 1-26 (subtitled and dubbed) available to stream now. · Throughout their quest to restore the shattered Shikon Jewel, the half-demon Inuyasha and modern schoolgirl Kagome have never faced an enemy more deadly or more cunning than the demon mastermind Naraku. With the Shikon Jewel nearly whole, the race to collect the remaining shards intensifies and a battle of epic proportions is brewing on the horizon! · Weekly simulcasts of the latest action packed NARUTO SHIPPUDEN episodes will take place every Thursday throughout January. · Catch Episode 444 on January 14th, followed by Episode 445 on January 21st, Episode 446 on January 28thth. · Watch the entire action-packed subtitled first season (Episodes 1-12), available now! · Saitama is a hero who only became a hero for fun. After three years of “special” training, though, he’s become so strong that he’s practically invincible. In fact, he’s too strong – even his mightiest opponents are taken out with a single punch, and it turns out that being devastatingly powerful is actually kind of a bore. With his passion for being a hero lost along with his hair, yet still faced with new enemies every day, how much longer can he keep it going? 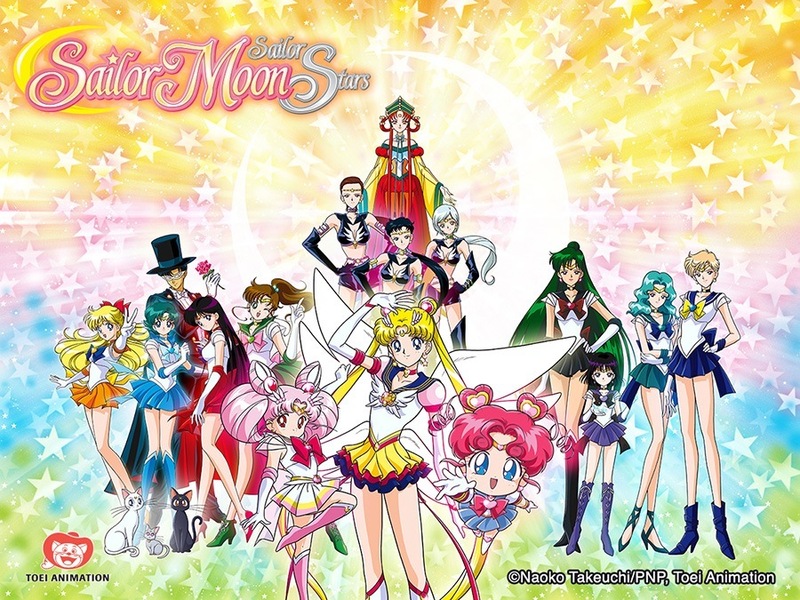 · Don’t miss the newly subtitled North American premiere for SAILOR MOON SAILOR STARS (Season 5). 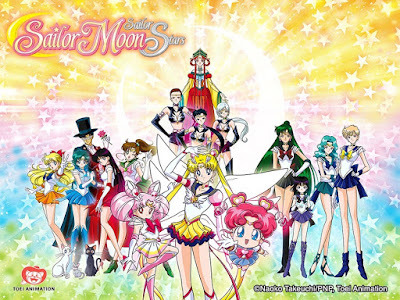 Episode 172 opens Season 5, which is the first time the exciting final story arc of the classic SAILOR MOON series has been available legally in the U.S.
· Catch 2 new SAILOR MOON SAILOR STARS episodes every week, beginning with Episodes 172 and 173, which are available to stream now. · Catch Episodes 174 and 175 on January 11th, followed by Episodes 176 and 177 on January 18th and Episodes 178 and 179 on January 25th. · This month, SAILOR MOON Season 2 is also added in its entirety and available to stream on-demand. · Enjoy all new English dubbed streams of SAILOR MOON CRYSTAL throughout January with a brand new episode every week. · SAILOR MOON CRYSTAL Season 1 action continues with Episode 8 available to stream now. · Catch Episode 9 on January 8th, followed by Episode 10 on January 15th, Episode 11 on January 22nd and Episode 12 on January 29th.